This app is a fun 3D dice but when you connect it to the LUDO Family Board Game for Apple TV it turns into a remote controller. LUDO Dice will automatically find a LUDO running on a Apple TV if both devices are on the same network (home WiFi). -> If you have Apple TV, go to App Store on your Apple TV and search and install 'LUDO, family board game' You can use up to 4 iPhone or iPad LUDO Dice Remote controllers to play the game. It is easy and super fun! * You have to be on the same network as Apple TV to connect to the game. We played a whole game without this app and half way through my family got it, but it still wasn’t working. Then we finished (thank god) but after we had to rejoin the game and you pick the color you want and after you are able to chose what token you want to add to your active ones. It could use more instructions on what to do though. You can’t choose your piece to move unless you have this app, and this app only controls one player. It’s a lesson in bad design. 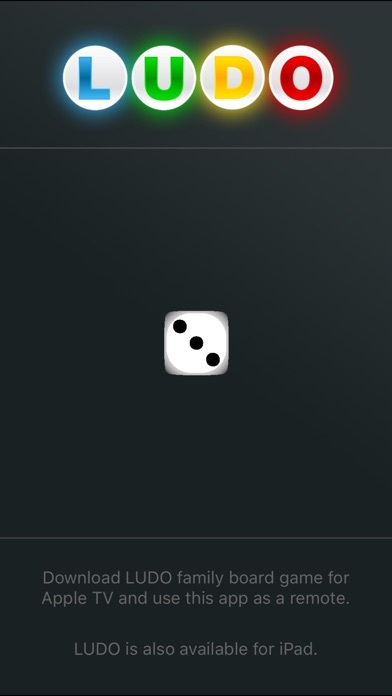 This App will allow you to shake the dice only you cannot move or choose what you want to play with. This is a review for LUDO Dice. This app on your mobile device is just a 3D dice as advertised. When you download the app to your Apple TV and use the mobile app on your iPhone or iPad to move your pieces, it works very well! Caution! Playing LUDO Dice on the Apple TV using the physical Apple TV remote or the software Remote App, you CANNOT switch between pieces. 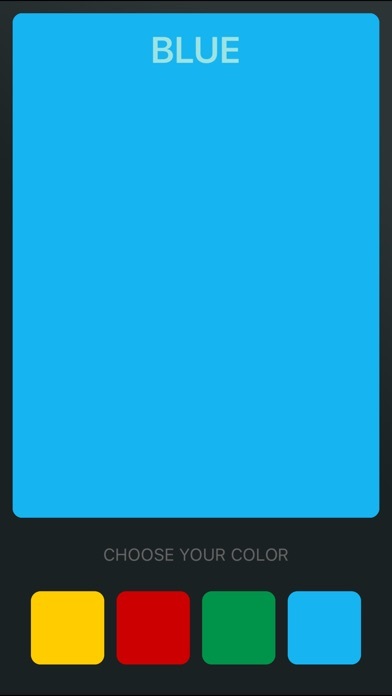 It would be nice to use the physical Apple remote but the mobile app is much nicer to use anyway. Seriously. It crashes every time you touch it. Literally the worst. The primary game on the Apple TV looks like it has potential but this companion app continuously crashes and destroys the game experience. Fix this and the game becomes much more fun.